[Updated: Bermuda win 3-1!] The Bermuda Women’s U15 Football team is matching up against Antigua at the IMG Academy in Bradenton, Florida today [Aug 6] as part of the 2018 CONCACAF Women’s U15 Championship, and you can tune in and watch live below. 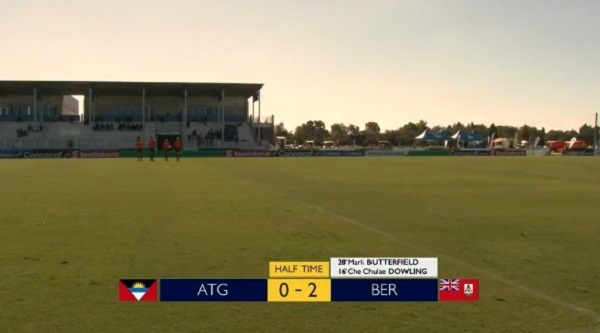 Update 10.43am: Bermuda has started off very strong, and are leading 2-0 as of half time, with Che Chulae Dowling scoring in 16th minute and Marli Butterfield adding another goal in the 28th minute. Update 1.34pm: The video highlights are below, including all three Bermuda goals.